This is Joy’s Entry in Belfast. 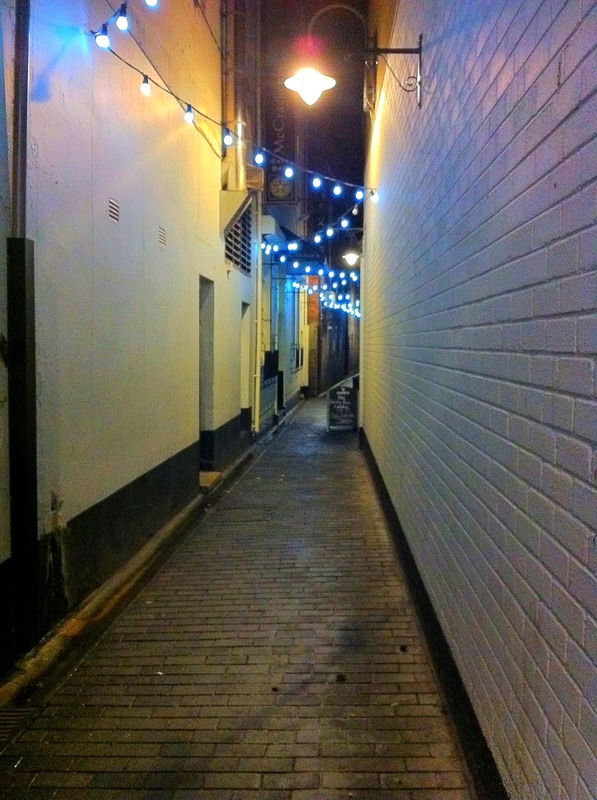 Joy’s Entry is a narrow lane with links High Street to Anne Street in Belfast. It takes it’s name from Francis joy who was the founder of the newspaper “The Belfast News Letter” This paper is reputed to be the oldest in the English speaking world and was first printed in a building located in Joy’s Entry. Francis Joy was also the grandfather of Henry Joy McCracken who was executed in 1798 for his part in the insurrection of the United Irishmen. A plaque at the High Street end of Joy’s Entry has been erected near the site of the house where Henry Joy was born.